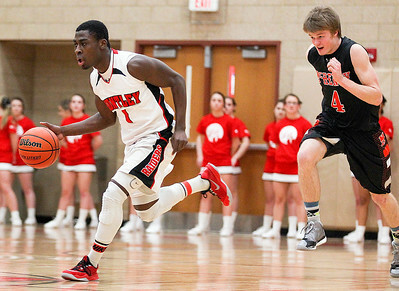 Sarah Nader- snader@shawmedia.com Huntley's Joshua Esikiel (left) is followed by McHenry's Brian O'Toole while he dribbles down court during the second quarter of Wednesday's game in Huntley January 21, 2015. Huntley won, 41-27. 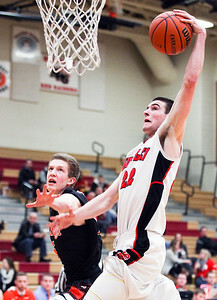 Sarah Nader- snader@shawmedia.com McHenry's Colton Klein (left) guards Huntley's Connor Boesch while he shoots during the second quarter of Wednesday's game in Huntley January 21, 2015. Huntley won, 41-27. Sarah Nader- snader@shawmedia.com McHenry's Nicholas Bellich (left) and Huntley's Brendan Boesch chase after a lose ball during the third quarter of Wednesday's game in Huntley January 21, 2015. Huntley won, 41-27. 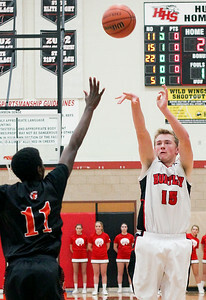 Sarah Nader- snader@shawmedia.com Huntley's Jack Bessey shoots over McHenry's Deshawn Wilson during the first quarter of Wednesday's game in Huntley January 21, 2015. Huntley won, 41-27. 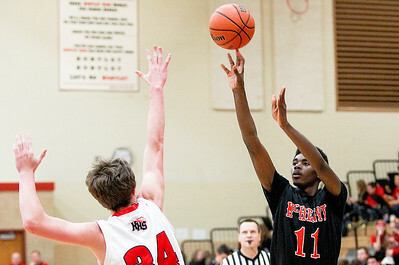 Sarah Nader- snader@shawmedia.com McHenry's Deshawn Wilson shoots during the third quarter of Wednesday's game against Huntley January 21, 2015. Huntley won, 41-27. 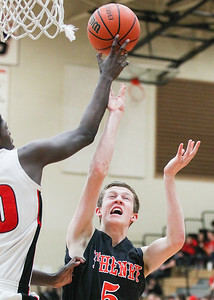 Sarah Nader- snader@shawmedia.com McHenry's Colton Klein shot is block during the fourth quarter of Wednesday's game against Huntley January 21, 2015. Huntley won, 41-27. 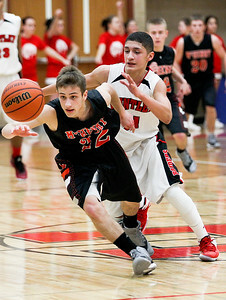 McHenry's Nicholas Bellich (left) and Huntley's Brendan Boesch chase after a lose ball during the third quarter of Wednesday's game in Huntley January 21, 2015. Huntley won, 41-27.